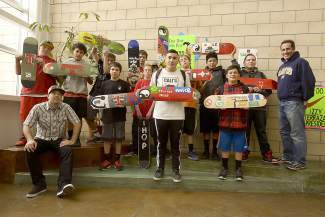 Participants in the Positively Rolling program are given a blank skateboard deck to paint their interpretation of core character education topics. TRUCKEE, Calif. — The Tahoe Truckee Community Foundation’s Queen of Hearts and Walton’s Grizzly Lodge recently awarded a combined $13,000 in grant funds to the nonprofit organization Positively Rolling. Beginning in 2013 as a pilot program through Sierra Expeditionary Learning School, Positively Rolling offers an open environment for discussion and creativity among local boys, aiming to increase confidence, teach them that it’s OK to ask for help, and provide productive tools to process thoughts, emotions and real-life experiences. Mentors lead discussions on five core topics: integrity, community, dealing with success versus failure, respect, and growing to be your own man. Students are encouraged to share their thoughts and experiences, having a safe space to ask questions and dive deeper into their personal growth. After the dialogue concludes, each boy is given a blank skateboard deck and paints his interpretation of what was discussed. The process encourages openness, communication, and healthy relationships between students, their peers, and members of the community. “Skateboarding has always been an amazing outlet for emotion, energy and creativity. Art is another outlet, and combining the two has enabled me to better process my personal life experiences,” explained Randal Hutchinson, Positively Rolling instructor and mentor. Walton’s Grizzly Lodge is a resident children’s summer camp founded in 1926 by Mom and Pop Walton. The Walton’s Grizzly Lodge-Stein Family Foundation was established in 2009 to continue the legacy of Mom and Pop and their work with children. 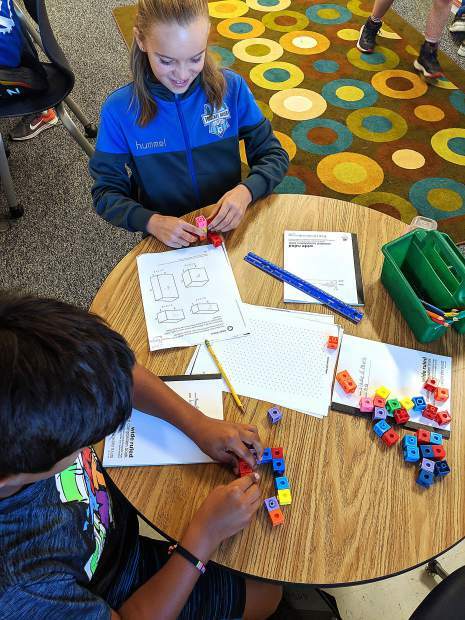 Since 2009, the Foundation has awarded grants totaling more than $200,000 to various nonprofit organizations in the Grass Valley, Portola and Truckee area whose primary purpose is to benefit children. The Queen of Hearts Women’s Fund is an arm of the Tahoe Truckee Community Foundation and facilitated its third annual GEMS (Grant Educate Motivate Serve) Grant Cycle in December. Positively Rolling was one of four $10,000 grant recipients. Established in February 2006, this charitable organization has raised $1.3 million to date and is broad based in its funding interests. Education and Youth Development are one area of focus. Positively Rolling operates under the umbrella of SELS and is funded through donations and community grants. Such funding covers the costs of skateboard decks and art supplies. In Truckee, donation bins are located at Clever Minds, Alder Creek Middle School, and Forest Charter School. Donations are tax deductible. To learn more, email Vicki Isacowitz at vicki@cleverminds.org, visit positivelyrolling.org, or follow the program on Facebook. This article was submitted on behalf of Sierra Expeditionary Learning School. Visit truckeecharterschool.org to learn more.